A few years ago, I reviewed a few drinks made with Veev aḉai liqueur at Ruby Tuesday’s back when the brand first launched. I enjoyed those drinks and how clean the spirit tasted. It imparted a crisp and mild berry flavor to the cocktails that I found quite appealing. Fast forward to this last winter, and Veev has done well enough to introduce Vita Frute, a line of pre-mixed cocktails that all feature Veev and a simple list of ingredients. Klout Perks and Veev offered free bottles to a few cocktail reviewers, and I was happy to participate. And thus you have been served my obligatory disclaimer that I did not pay for these cocktails. There were only two varieties available at the CVS where I exchanged my coupon for bottles of Vita Frute, so I did not have the chance to review their cosmopolitan flavor also on the market. But I probably would have chosen to try the margarita blend regardless. The ingredients are Veev, tequila (I have no idea what brand; it was definitely silver), lime and lemon juices, and agave syrup. There is nothing I dislike about it. The Veev’s soft berry combines well with those classic margarita elements, mellowing the normally strong punch of tequila in a margarita. I could see that quality being welcomed by some and loathed by others. I think it would depend on my mood as to whether this style of margarita would be preferred…and also the weather. 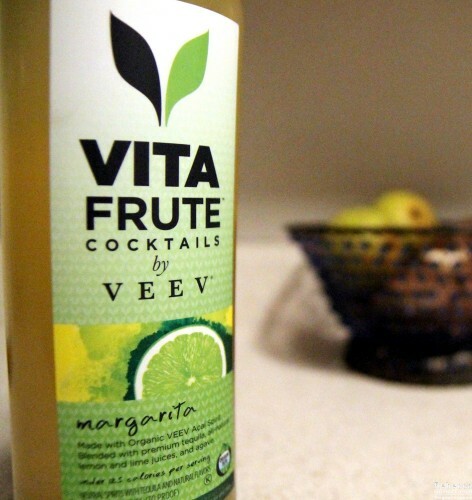 On a sweltering hot day, I’d prefer the Vita Frute to a classic margarita. The drink is light and not only in calories (125 per 3 oz.). It bursts with citrus that puts a smile on my face. It’s nice and sadly unusual to have a premixed drink that isn’t cloyingly sweet or too skimpy on the alcohol. The makers put a lot of thought into getting the recipe just right, but that doesn’t mean it can’t be livened up, either! If the tartness gets to be too much as you drink it, cut through it with a spoonful of your favorite simple syrup, preferably fruity. Or just muddle in a few blackberries. You’ll be delighted either way. My second option, the Vita Frute lemonade, comes in second to the margarita by a wide margin. With only three ingredients—Veev, lemon juice, and agave syrup—its flavor profile suffers in comparison. 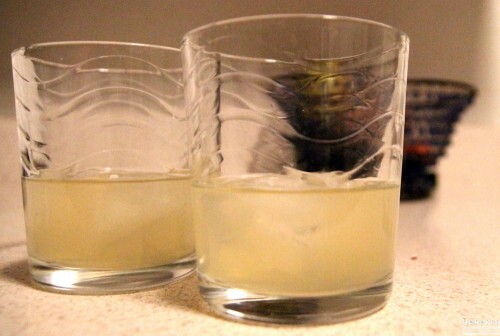 The lime and whatever smooth tequila was used added a lot to the margarita version. The lemonade is still a pleasant sipper, but for my potentially overdeveloped alcohol sensors, it’s far too sweet. 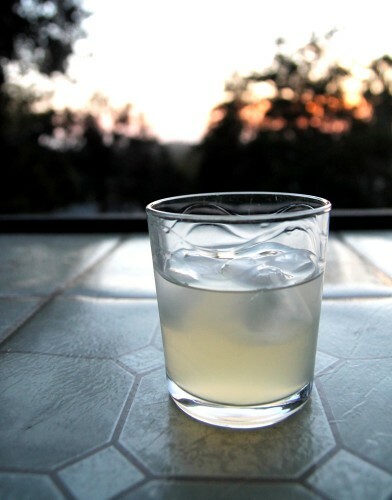 After a sip or two, the acidity of the lemon juice is lost to the agave. The delicate aḉai berry can still be tasted, but the agave’s sweetness comes close to masking that as well. It’s similar to a lemon drop cocktail, which I do order on occasion but only when my girly-drink funny bone starts acting up. Overall, I’m impressed with Vita Frute, and I can easily see myself keeping the margarita on hand as an easy, refreshing cocktail I can just shake and pour. I will pass on the lemonade in the future–there are just too many better ways to enjoy a drink. Regardless, I still want to try the cosmopolitan!